Parting of the Waters is a hydrological feature at Two Ocean Pass that may have allowed lake trout passage from the Snake River watershed up Pacific Creek, seen at right, and down Atlantic Creek, left. A new theory about the 1994 introduction of lake trout to Yellowstone Lake suggests they swam up and over the Continental Divide at Two Ocean Pass, using the route delineated in this map. More than 300,000 lake trout are netted and killed in Yellowstone Lake each year. Yellowstone National Park Supervisory Fishery Biologist Todd Koel’s latest academic work theorizes that lake trout may have made the 80-mile swim between Jackson and Yellowstone Lakes by way of a unique hydrological feature on the Continential Divide that connects the two watersheds. Could lake trout swim to Y’stone? Fisheries chief suspects ‘invaders’ got to Y’stone Lake on their own. A new culprit is under suspicion in the unsolved case of who “stocked” Yellowstone Lake with nonnative trout, an ecological disaster now costing the government millions of dollars to control. The conventional theory explaining the unwelcome newcomer, backed by some hard data, has been that a “bucket biologist” scooped lake trout out of nearby Lewis Lake and dumped them into Yellowstone Lake. Suspecting foul play, officials offered a $10,000 reward in the mid-1990s for information leading to the arrest and conviction in the crime once dubbed “an appalling act of environmental vandalism” by former Yellowstone National Park Superintendent Bob Barbee. An emerging theory suggests the vandals might be the fish. Yellowstone’s chief fisheries biologist, Todd Koel started investigating a case of trespass not transport after seeing how fish are invading high-elevation lakes in Glacier National Park. Koel emphasized that he’s merely suggesting an alternative hypothesis to explain the 1994 appearance of lake trout in the prized 136-square-mile lake, and one that needs more testing to prove. But it’s a line of thinking he’s taking seriously enough that he’s in the peer-review stages of completing an academic paper. Koel suspects that some of the scores of lake trout that wash out of Jackson Lake Dam in Grand Teton National Park swam up Pacific Creek, the first major drainage downstream of the dam’s spillway. After a 40-mile swim, fish would arrive at North Two Ocean Creek, the stream that gives birth to Atlantic and Pacific creeks at the hydrological oddity known as the “Parting of the Waters.” Pacific Creek drains into the Snake River, while Atlantic Creek empties into the Yellowstone River. “There’s surface water that connects up Two Ocean Pass, the waters of the Pacific drainage and the Atlantic drainage,” Koel said. Fish making the hypothetical 80-mile lake-to-lake trek would encounter no true barriers to movement and would be dispersing up and down relatively low-gradient streams, he said. The Pacific Creek-Atlantic Creek passage over the Continental Divide is the same presumed route that cutthroat trout traveled thousands of years ago, when they first inhabited Yellowstone Lake and the larger Missouri River basin after the last period of glaciation. 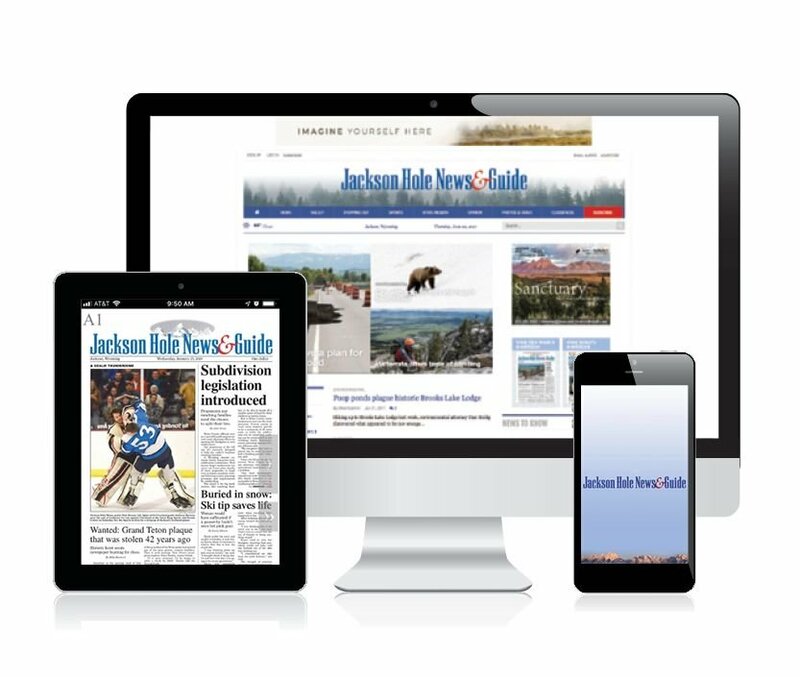 If lake trout have indeed dispersed from Jackson into Yellowstone lake, it’s unlikely they’re making the trip every year, Koel said. The species has occupied Jackson Lake for over a century, an extended time that makes the possibility more plausible, especially during high water years when Two Ocean Pass becomes so flooded the fish could swim across as if they were in a lake, he said. An ongoing invasion of lake trout into high-elevation lakes in Glacier National Park sparked Koel’s theory. The fish actively taking over a dozen lakes on Glacier’s west side got there by conquering high-gradient streams strewn with boulders and cascades. If lake trout can do that, Koel figured they could manage Two Ocean Pass. U.S. Geological Survey aquatic research ecologist Clint Muhlfeld affirmed that lake trout tagged with tracking equipment in the Flathead Lake watershed have made grand journeys. Lake trout have their name for a reason and cannot persist long term in flowing water, but they’re plenty capable of surviving extended forays into the habitat of their fluvial cousins, he said. Lake trout’s invasions into the headwater lakes of the Flathead drainage have rendered native, endangered bull trout “functionally extinct” in 11 of the 12 Glacier Park lakes where the two species are now sharing habitat, he said. In Yellowstone Lake, cutthroat are the native species falling victim to lake trout. Also called mackinaw, lake trout are a predominantly fish-eating species naturally found in the Great Lakes, much of Canada and along the Eastern Seaboard. The larger, deepwater-dwelling trout is considered the primary culprit in the collapse of the native cutthroat population, a keystone of the Yellowstone Lake food web, feeding water shrews, ospreys, grizzly bears and dozens of other species during their springtime spawning runs. The native trout are also valuable to humans. Yellowstone officials estimated the annual economic value of the cutthroat sport fishery at $36 million annually when lake trout were first discovered 24 years ago. Cutthroat numbers are now thought to be on the rise, thanks partly to a $2 million a year gill-net-fishing program designed to crash the lake trout population. After their 1994 discovery, debate brewed for years about when and how lake trout got into Yellowstone Lake. One theory was that water-hauling aircraft unknowingly scooped the fish out of Lewis and Shoshone lakes while firefighting the 1988 wildfires and dropped them onto flames that burned near Yellowstone Lake tributaries. Other fishermen have contended that they’ve been in Yellowstone Lake for more than a century. A citation in Hiram Martin Chittenden’s 1904 book “Yellowstone National Park” reported planting “10,000 yearling lake trout in the Yellowstone River above the falls in 1890.” Modern Yellowstone officials have said that is an error, pointing to there being no photographic evidence of a lake trout being caught for another 104 years. Another theory holds that lake trout escaped from display tanks they were kept in at the old Yellowstone Lake Hatchery during the 1940s and ’50s. 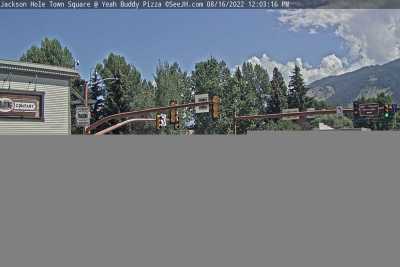 It was a 2005 study headed by former Montana State University researcher Andrew Munro that, for a while, seemed to close the case. “That sort of iced it for us, at that time,” retired Yellowstone science chief John Varley said. Munro examined small stones called “otoliths” that grew in the ears of Yellowstone Lake’s mackinaw captured between 1996 and 1999. The otoliths are telling of the water chemistry of the bodies of water that fish occupied during each year of life. “The dating of the abrupt shifts in otolith chemistry as occurring in 1989 and 1996 suggests that multiple transfers may have occurred,” Munro wrote in the 1995 study. Jackson Lake, which originally got its lake trout from dispersing Lewis Lake fish, was not included in the study. USGS’s Muhlfeld, who’s experienced in otolith chemistry work, said Koel’s theory could be proven or debunked in a laboratory. 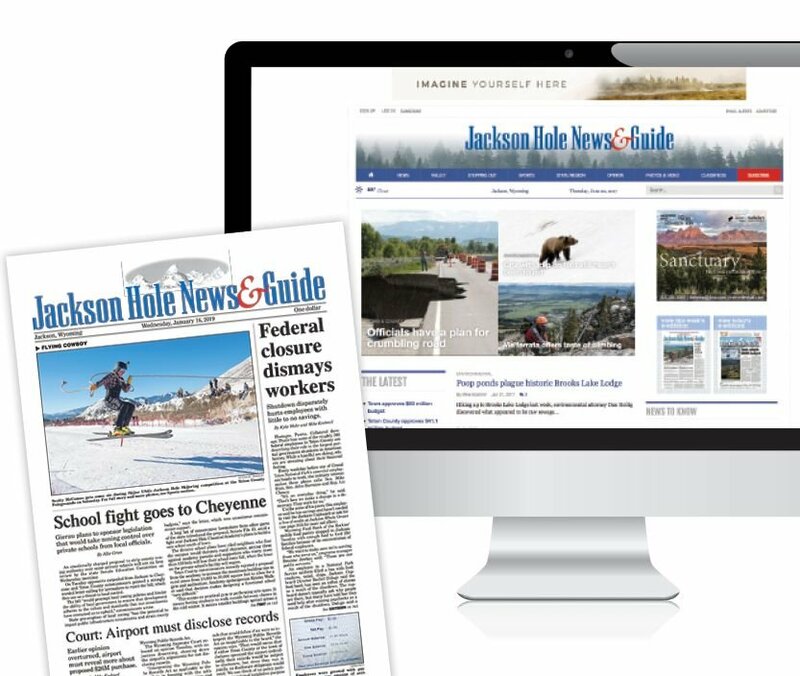 “The way to test Todd’s theory,” Muhlfeld said, “would be to actually redo the otolith study to get some samples from Jackson Lake and compare it to Lewis Lake to see where some of those early sampled fish in Yellowstone best matched. “You could do it,” he said. Wyoming wildlife managers, who manage Jackson Lake as a trophy lake trout fishery and stocked them until a decade ago, do encounter errant mackinaw during routine sampling of the Snake River watershed below the dam. The Snake immediately past the spillway is a popular springtime fishing hole, and the primary quarry is lake trout. 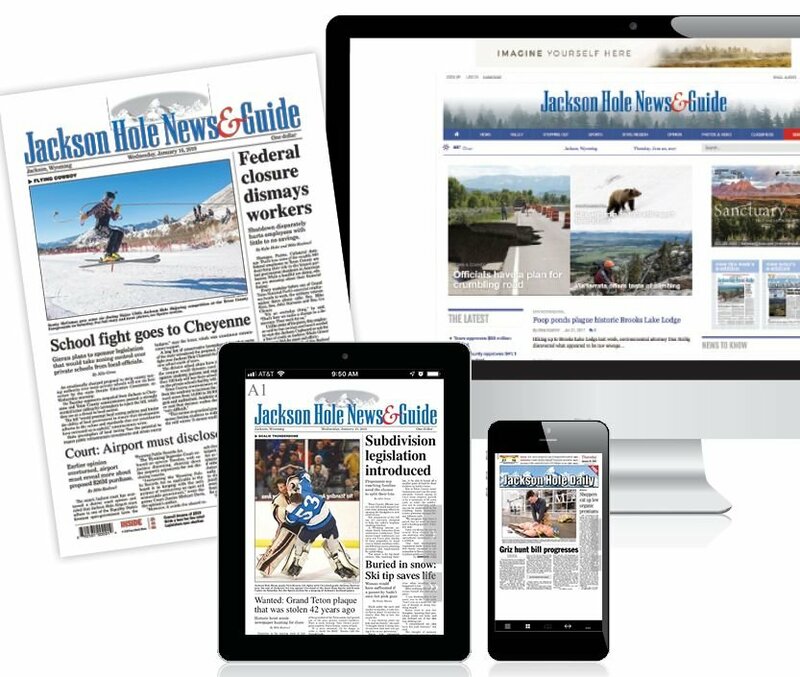 “I wouldn’t say it’s annual, but it’s not that uncommon to find a lake trout or two,” said Rob Gipson, fisheries supervisor for the Wyoming Game and Fish Department’s Jackson Region. Last summer, for example, electrofishing crews nabbed an 18-inch lake trout out of the Gros Ventre River. There have been other unexpected catches: mackinaw sampled in the Snake, Hoback and Salt rivers, and even in Flat Creek. Gipson’s take on Koel’s theory is that it’s interesting, but he’s not yet convinced of its merits. “Lake trout don’t really like that,” Gipson said. “It’d be a long journey. Koel knows that there’s still work to do to confirm his hunch. It will take time and money to research the theory further, and it might not be a priority for resources because the mechanism by which lake trout got to Yellowstone Lake won’t change management. Lake trout will continue to be netted and killed either way, he said, in the fight to help cutthroat stage a comeback. 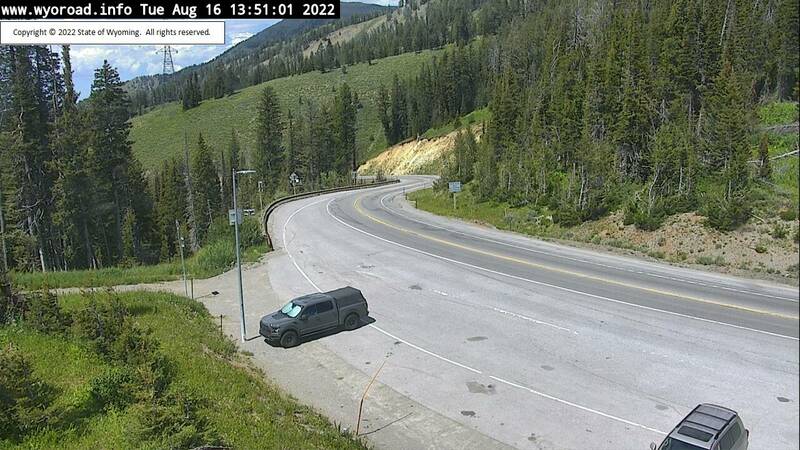 Still, the unlikely upstream invasions in Glacier have him wondering if the same thing happened in northwest Wyoming. Count Varley, formerly Koel’s boss, among the skeptics who are intrigued but not convinced. He pointed out that since the glaciers receded from the Yellowstone Plateau over 10,000 years ago just two species of fish have occupied Yellowstone Lake via the Parting of the Waters: cutthroat trout and the long-nosed dace, a minnow species. Downstream of the lake there’s an obvious barrier blocking movements: Yellowstone Falls’ two cascades. “Coming over Two Ocean Pass is a 1-in-5,000-year event based on those two successful passages,” Varley said. “I still favor the evil-deed theory. That’s basically from discussions with longtime park employees. 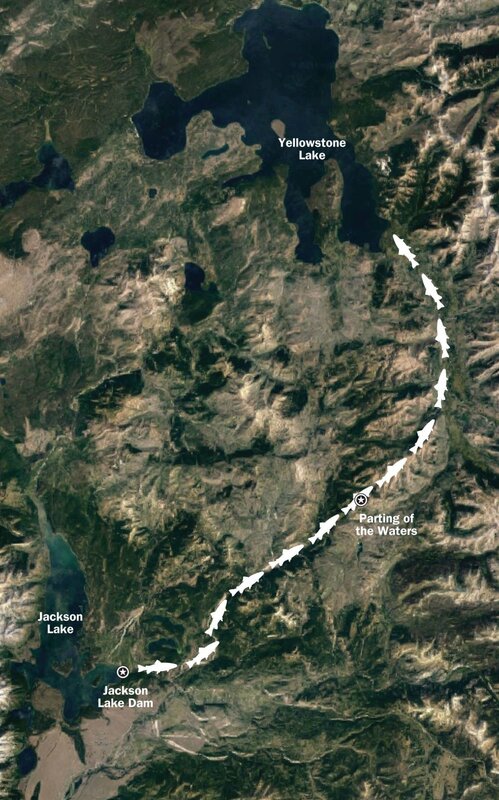 Seems more likely that over the decades eagles or ospreys could’ve inadvertently transported a few or fish over the divide from Heart or Shoshone lakes. This doesn’t seem any more outlandish than the Two Ocean Pass theory. This is ludicrous. In my opinion, Todd Koel has been trying for years to justify not spending the money to suppress the lake trout population in Yellowstone Lake. Just review all of his statements about the subject going back to the beginning. A few years ago he ended a sampling protocol in Yellowstone Lake that had been used for decades to track the Yellowstone Cutthroat population. He replaced it with a new sampling method, using new sampling locations, conducted at different times of the year than previously. I obtained some of this new sampling data a couple years ago and after reviewing it and comparing it to the historic data, I'm convinced it skews the population results to make it look like the Lake Trout suppression program is being more effective than it is. All in an effort to get the lake trout program wrapped up, or scaled back, as quickly as possible, whether they effectively crash that population or not. Now he's cooked up this crazy theory that lake trout swam across the continental divide in a tiny stream with barely enough water for a fish to swim in. If this is where the lake trout came from, why when they were first found in Yellowstone Lake, were they mostly concentrated in the West Thumb area. If they swam across the continental divide and into the southeast arm of Yellowstone Lake it seems they would have been more concentrated in the deep water habitats closest to that area, rather way over in the West Thumb, which is, yes, the logical place for a bucket biologist to dump them if moving them from Lewis Lake, or Jackson Lake, or wherever. I don't understand why the NPS is paying Todd to write a peer reviewed paper about a fantasy. Even if a new otolith study shows some fish came from Jackson Lake or wherever, the simplest explanation is that people moved them, not that enough of a deep water dwelling lake species to establish a new population swam in small headwater streams across the continental divide and found a new home in Yellowstone Lake.